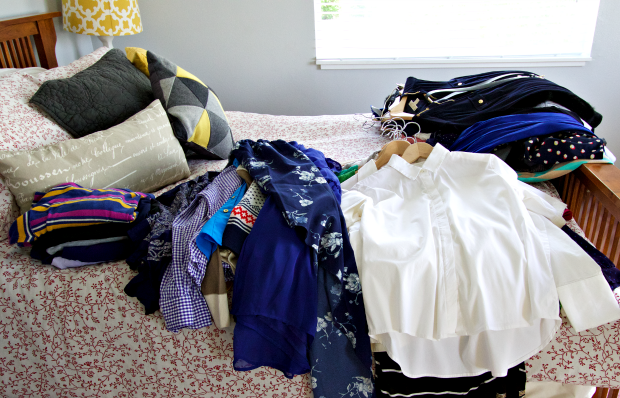 Organizing the main closet in your life can make such a difference in the way your day-to-day life flows, and is so easy to do with just a few easy steps. 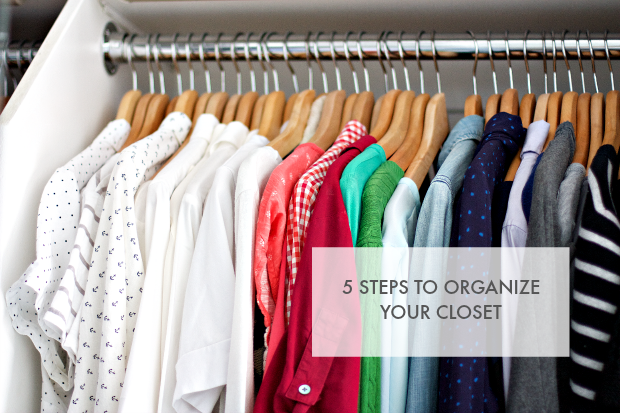 Check out the simple 5 steps to closet organization below. The best way to figure out what you have and what you want to get rid of is to pull everything, and I mean everything, out of the closet. Lay it all out somewhere clean and well lit so you can look through each piece thoroughly. 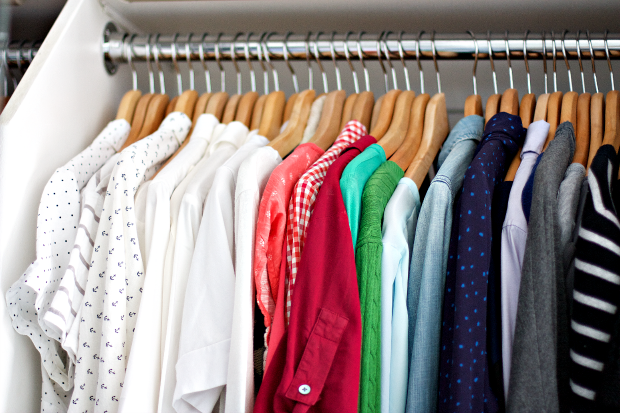 Separate your clothes by category: sweaters, t-shirts, button down shirts, dresses, pants, shoes, purses, belts etc. so you can see what you have. Every time I organize my closet I realize I buy the same thing over and over, and end up with several duplicates of white shirts, cardigan sweaters, the same kind of belt, shoes, and on and on. It’s good to clean out your closet several times a year to keep things fresh and get rid of the copies. Once everything is out and you can see what you’ve got, it’s time to decide what needs to go. Get rid of what hasn’t been worn in a long time, what doesn’t fit anymore (and be honest with this one, even if you plan to lose weight, don’t keep stuff in your closet you aren’t currently wearing), and everything you can’t figure out why you bought in the first place. Put everything you’re planning to keep in one pile, what you’re going to sell or donate in another, and what needs to be dry-cleaned or repaired in the third. 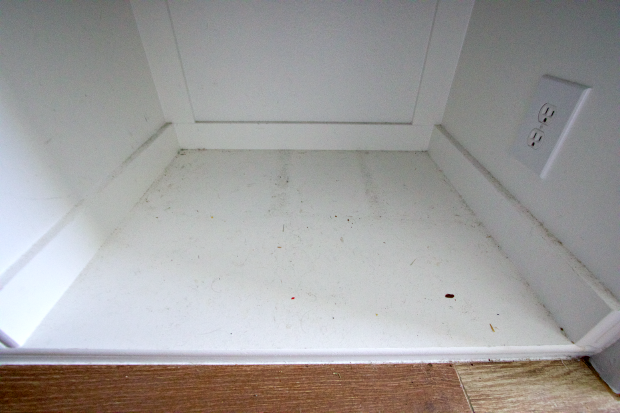 Vacuum, dust, wash down walls or floors, shelves, and whatever else it takes to get the actual closet clean. 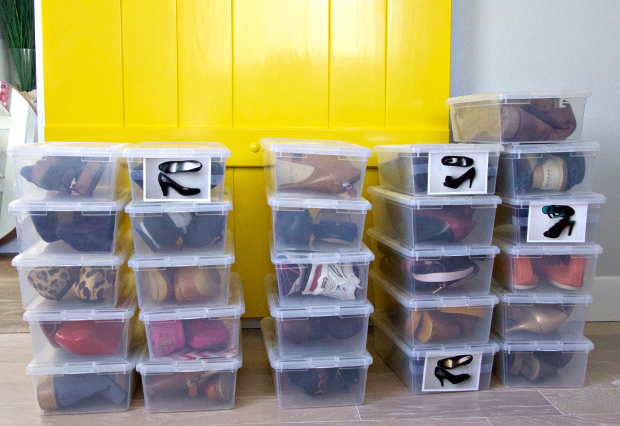 Get rid of mismatched, bent, or weird hangers, shoe boxes, and anything else that clutters up your closet. I’m a little OCD so I organize my clothes by color and category: sweaters and tunics go together, dresses, skirts, t-shirts, belts, and purses. I take it a step further by keeping my shoes in clear plastic bins stacked on the top shelf with photographs so I know what’s inside. I know, I know. But it makes me happy. It takes me a few hours (I have way too much stuff) to get my closet cleaned out and organized and put back together, so I snack in-between organizing my purses by color. 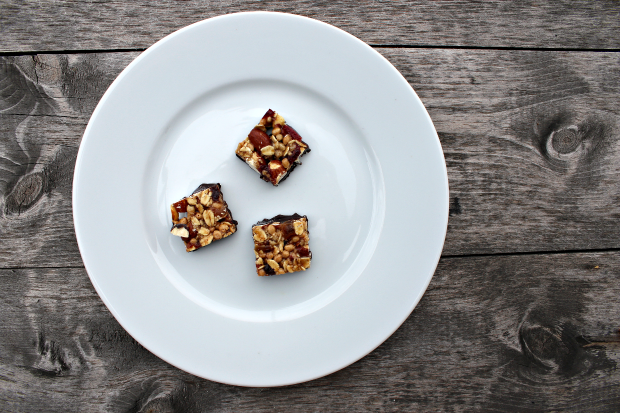 I’m a fan of goodnessknows snack squares to get my chocolate fix and energize at the same time. Do you do that too? Hydrate, snack, organize, hydrate, snack, rest? Me too. It’s the only way to operate. 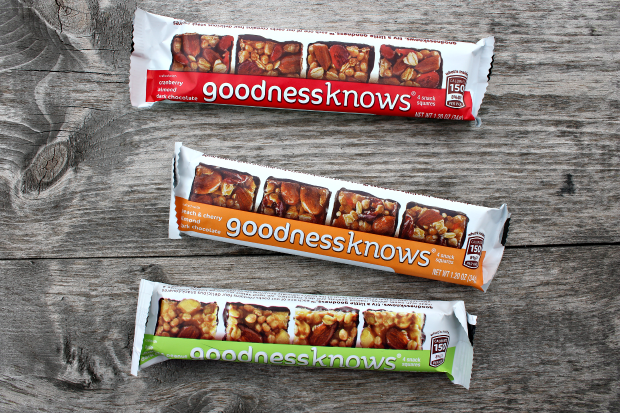 goodness knows is a fan of helping people live their best life, whether it’s biking to work, or tackling a major project like organizing the main closet in your life. There you go! 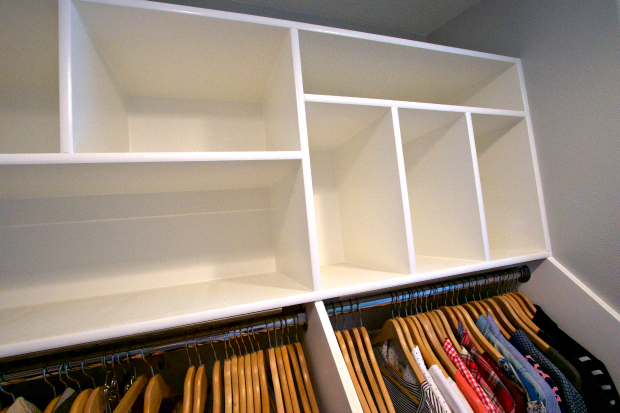 You now have everything you need to get your closet cleaned out and organized. Don’t you feel better already? 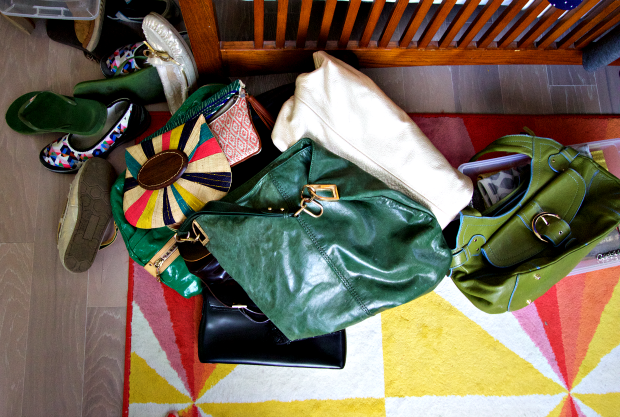 I’d love to hear how you organize the main closet in your life.